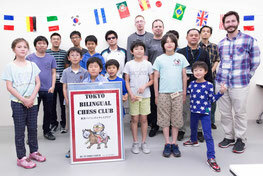 The Tokyo Bilingual Chess Club has the resources to set up a chess program at your school. 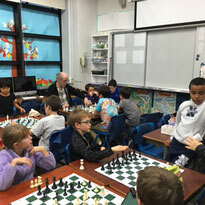 The TBCC only hires the top chess instructors and has an advanced chess curriculum and program that trains students from beginners to the level of tournament play. Please contact us if you are interested in setting up a chess program at your school. One on One Lessons- This is the number one way to improve. 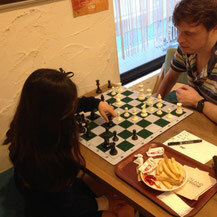 The TBCC offers one on one private tutoring to help even the most seasoned players improve their games. Whether you are just starting out or have been playing for years our team of qualified instructors is ready to help your child reach his/her potential and become the player we know he/she can be! The TBCC offers group classes covering a wide range of subjects and skill levels. Our classes are engaging and fun enough to keep even the youngest players (kindergarteners) interested. These classes are also a great way to meet other players.